Summertime in the city is synonymous with rooftop lounging. And while it may be hard to decide on the perfect alfresco bar for a night out in DC, choosing the best rooftop to call home in Navy Yard is easy. With our penthouse level residence club, striking waterfront and Capitol views, and resort-style pool, there’s no end to the summer fun that can be had at Insignia on M. From entertaining friends to soaking up some sun, here are a few of our favorite ways to enjoy our rooftop this summer. 1. Hang poolside: An option that never gets old, our breathtaking pool is the perfect place to lay out, get your feet wet, or go for a dip. 2. 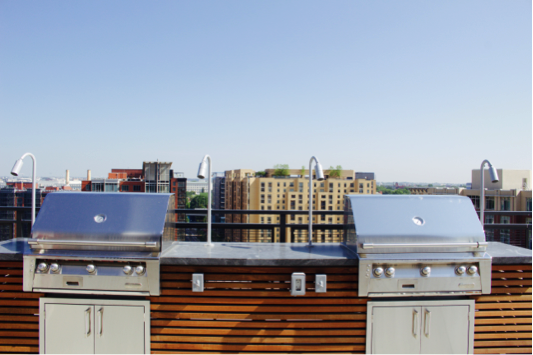 Host a barbecue: Our rooftop boasts multiple grilling stations, outdoor living areas, and dining tables that make it easy to host friends and family for a barbecue. Stock up on some grilling essentials from a nearby grocery store and treat your friends to an impressive open-air dinner party. 3. 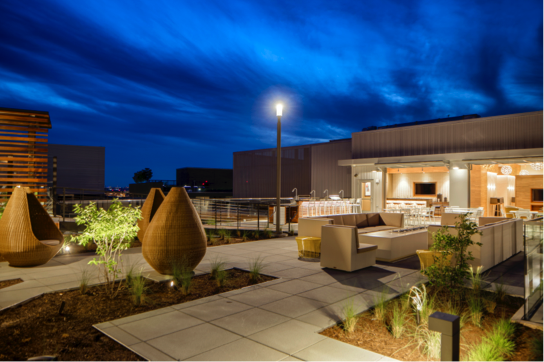 Play bartender: Dabble in the art of mixology at our rooftop bar. Need some inspiration? Check out some of our favorite summer cocktails. 4. Hang out with your dog: That’s right — Your pooch isn’t just welcome on our rooftop, he’s a VIP. 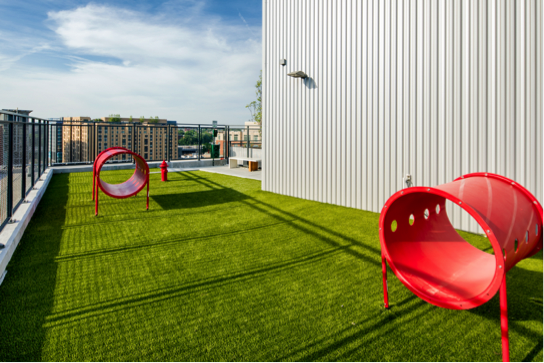 Let your furry friend burn off some pent-up energy on our rooftop dog walk while you soak up the summer sun. 5. Watch the game: Don’t have tickets? 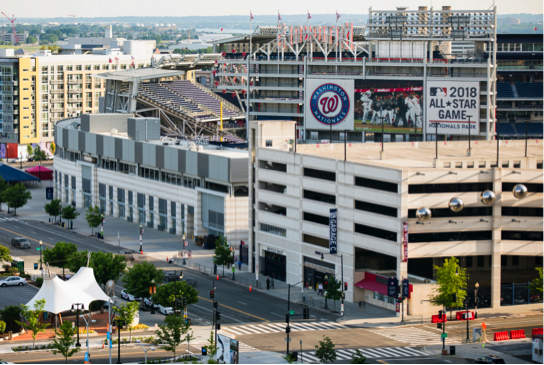 No worries — you can root for the home team from our rooftop lounge as the game plays on TV. Step outside after a Nationals game and you can even catch the famous Freedom Fireworks from the comfort of your own home. 6. 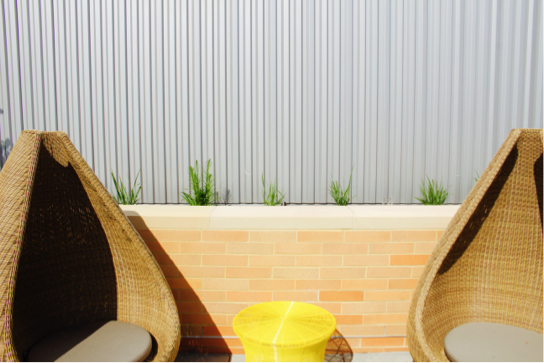 Curl up with a good book in the shade: Our rooftop features plenty of cozy nooks for you to take a break from the sun and catch up on your summer reading list. 7. 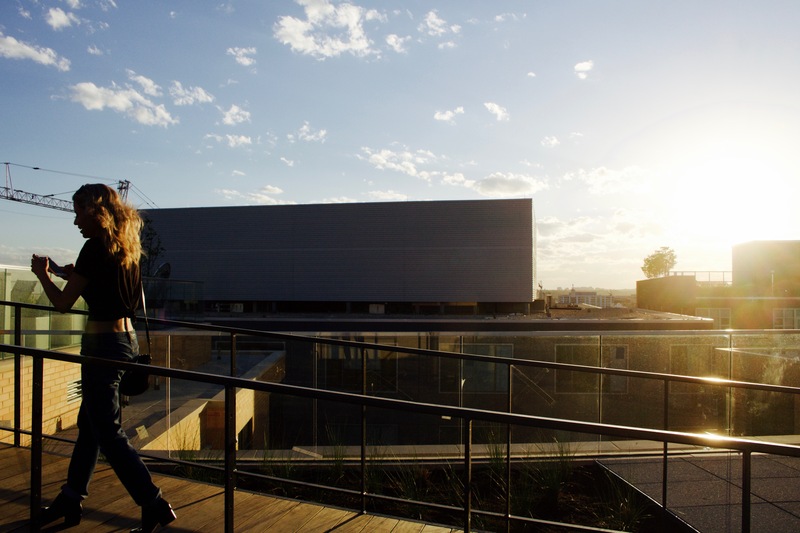 Watch the sunset: What would a rooftop blog post be without a mention of sunset views? 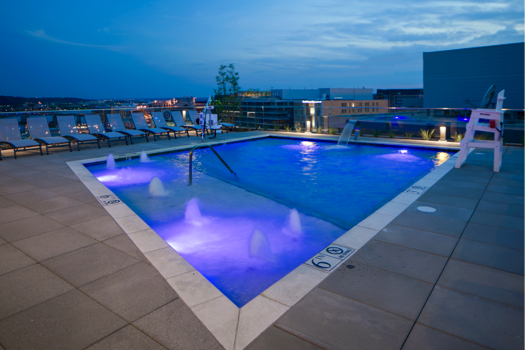 Top off a perfectly relaxed day of rooftop lounging with an unbeatable view of Navy Yard from golden hour to dusk. 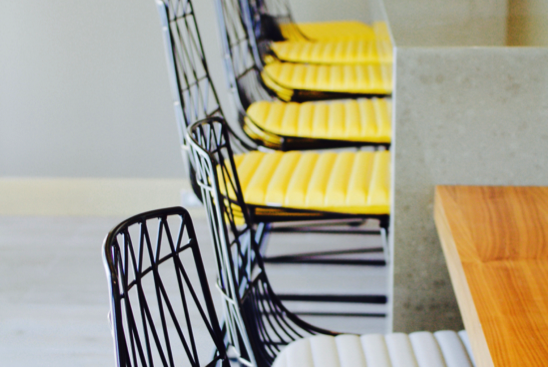 With panoramic views, early birds can also watch the sunrise over the Anacostia.